I didn’t hit “like,” but I did watch it a dozen times. Here are the seven reasons, according to Sojourners, why men shouldn’t be pastors. Men don’t need to be ordained to help in the church; they can always help in children’s ministry. (Some) men are too handsome to be pastors; their good looks will distract. Men are too emotional—have you seen March Madness!? Men who have children will be sidetracked from pastoring by their family responsibilities. Men can’t be trusted to lead because Jesus was betrayed by a man. Men, about once a month, get really cranky. Men, again, don’t have to be pastors to help in the church; they can help in other stereotypical male ways, such as leading worship on Father’s Day and fixing the church roof. You see what they are doing, right? The video isn’t about why men shouldn’t be pastors. It’s about all the silly and sexist reasons that people tell women that they shouldn’t be pastors. And with this, I agree. It’s wrong, even sinful, to fabricate arbitrary and sexist reasons why women shouldn’t be pastors. It’s been done, and I hate it. I’m sure all thoughtful Christians, especially ministry-minded women, must hate it, too. God hates it. 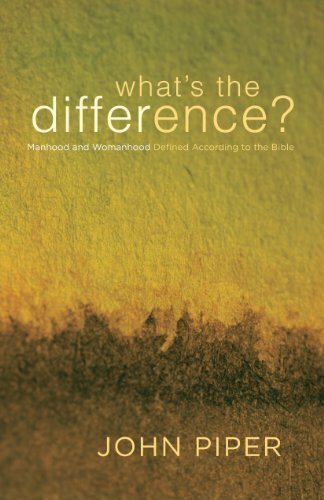 In the history of the church, there are two main theological positions on men’s and women’s roles. They go by the names of “complementarianism” and “egalitarianism.” It will be helpful to briefly explain these views, specifically what both of these views affirm, and then mention how they differ. Both views affirm that men and women are created equally in the image of God, and consequently have equal dignity, value, and worth. Also, both views believe that women and men can, and should, participate significantly in Christian ministry. And yet, there are differences in the two positions. Egalitarians believe that there should be no distinctions in roles in the home and the church that are based upon the innate qualities of gender. Rather, egalitarians believe that any and all roles should be decided only on the basis of competency. In other words, if you are good at something, regardless of your gender, then you should be able to do it. If you can preach—preach it, sister. Complementarians don’t believe this. 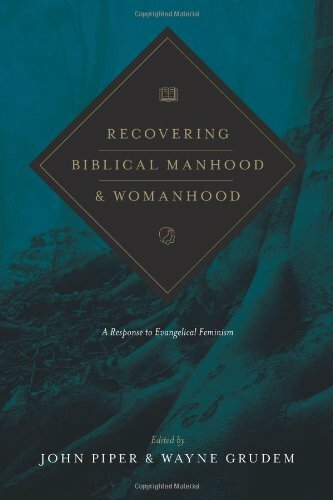 They believe that manhood, in distinction from womanhood, means something—something beautiful. And complementarians believe that womanhood, in distinction from manhood, means something—something beautiful. Complementarians believe that roles are not determined only by competency but also, even mainly, by the good, enduring design of the Creator. In short, maleness and femaleness has meaning beyond “plumbing”; at our soul-level we are not androgynous but irrevocably and invaluably gendered. Are There Bible-Reasons Why Pastors Should Only Be Men? Because this is such a controversial point, allow me to mention seven of the biblical reasons for this view. First, God gives Adam responsibilities of leadership before the fall, that is, Adam’s responsibility to lead is not a result of sin after Genesis 3. For example, before the fall, God creates Adam first and then Eve as a “helper fit for him” (2:18). Also, God gives Adam the responsibility of naming the animals, and then later Eve (2:19-20; 3:20). Additionally, God instructs Adam regarding which tree he should and should not eat from (2:15-17). This instruction took place before Eve was created. The expectation, then, is that Adam was to teach God’s moral instruction to Eve, thus implying a role of spiritual leadership. Second, although Eve also sinned (even sinned first), God does not charge Eve with the responsibility of plunging the human race into sin and enmity with God. Rather, this is Adam’s responsibility, as taught in places like Romans 5:12-21. Third, the way that Satan chooses to approach the woman in Genesis 3, also hints that Satan knew that God had placed Adam in a leadership role, and he deliberately chose to assault it. To use an analogy, if two nations are at war and one side chooses to deliberately bypass the President during negotiations, instead choosing to speak only with the Vice President, an insult is delivered. Satan insults the created order in bypassing Adam to speak with Eve. Fourth, throughout both the Old Testament and New Testament there is a pattern of spiritual leadership being placed mainly among men (e.g., priests in the OT and the apostles and 12 disciples in the NT). This is not to say that at times women didn’t lead, but the primary pattern of male leadership is undeniable. Fifth, there are many parallels between male leadership in the church and the headship of men in the home. This is taught in places like Ephesians 5, Colossians 3, and Titus 2. Finally, it would seem that specific passages, like 1 Timothy 2:8-3:7 and Titus 1:5-9, actually require elders to be males. There are probably many reasons this view is unpopular. For one, the abuses of sinful men who treat headship like a right and privilege. This should not be the case, but sadly, it happens. Spiritual leadership is not a right or privilege, but a responsibility to be carried out humbly and sacrificially, the way Jesus carried it out (Ephesians 5:2, 25). But there is likely another reason we chafe against this, one often not mentioned, namely, that complementarism assaults a certain cultural idol. It’s commonly held today that you can’t have differing roles without also having differing intrinsic worth. If someone does a different role, even especially if one is prevented from doing a role, then they must, according to the culture, be inferior. Thus, if women shouldn’t be pastors then women are by extension inferior. But this is not what the Bible teaches, most especially demonstrated in the Triune relations between the Father, Son, and Spirit. Is the Son of God less than God the Father because the Son does his Father’s will (John 6:38)? Is the Holy Spirit less than God because he is called “helper” (John 14:26)? Orthodox Christianity has always said, no. Differing roles among the members of the Trinity do not necessitate a difference in value. Actually, quite the opposite is true. At our church, as you might have guessed by now, we do not have women pastors. But we do, however, try our best to not over apply this. Making a distinction between men’s and women’s roles is especially controversial in our day. But this is nothing new. Throughout history, it’s often been the case. We see this even in New Testament times. We shouldn’t have a romantic view of the early church. They too needed to work through the issues, just as we do. Thankfully, God did not leave the early church to fend for themselves. Even though some considered it foolishness, God gave them his wisdom, just as he has given it to us (cf. 1 Corinthians 1:18-25; 2:14-16). The final line in the Soujourners’ video asks viewers to “support women in the church.” I couldn’t agree more. I, however, think we do this best by not asking women to fill a role that God didn’t intend them to fill. “And God saw everything that he had made, and behold, it was very good” (Genesis 1:31). Of course, not just “any man” can be an elder, but only those men who fit the qualifications for elders as described in places like 1 Timothy 3:1-7, Titus 1:5-9, and 1 Peter 5:1-5. Also, throughout this post I’m using pastor and elder interchangeably because the Bible does. The decision we interpreters must make is whether this pattern is merely a product of their cultural norms or something with trans-cultural purpose (i.e., a God-given design for all time). I favor the latter. Male spiritual leadership existed in 116 AD and continues to exist in 2016, not because of cultural norms (sinful or otherwise) but divine design. And no, I don’t think Galatians 3:26-28 actually flattens all distinctions, though it does reinforce what is taught in many places, namely, that neither ethnicity nor gender can keep people from full status as children of God. And on a personal level, just this last week, I’ve been reading a detailed history of the prosperity gospel, which is written by a very gifted historian who also happens to be a woman. I thank God for her scholarship and I’m praying her book benefits many people.